On average a person spends at least an hour and a half in the bathroom per week. Although, women are a whole different story. That being said, you want this space that you spend so much time in to be comfortable, usable, and pleasing to the eye. Bathrooms come in all shapes in sizes, from small ½ baths to full master bathrooms with a walk-in shower, claw foot tub, and even a small, secluded toilet room. In this article, we will walk you through all of the steps you can take to make small or large bathrooms alike, feel comfortable and spacious, as well as aesthetically pleasing. Mirrors can open up any small space, giving them a more spacious feel. You may be thinking “well, of course, all bathrooms need a mirror.” Not only can you put multiple mirrors in your bathroom, depending on its layout, utilizing the right kind of mirror for your particular bathroom is also just as crucial. If you need help to design and install a bespoke bathroom, a wet room get in touch with our friends from Aqua Bathroom. They can help you install all types of #bathrooms and #WetRooms to suit budgets of all sizes! 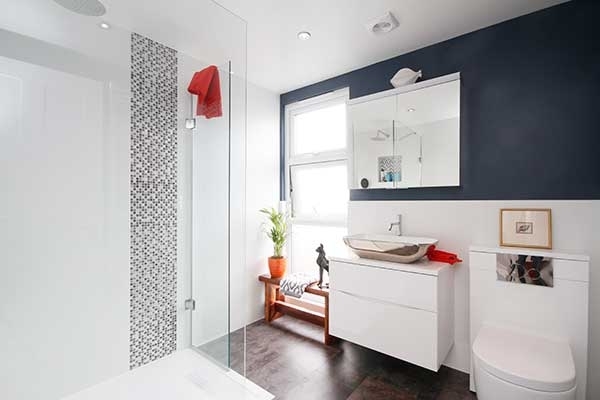 Utilizing lighter, more serene colours on your bathroom walls can certainly open up the room. Pastel colours or just softer shades of your favourite colours will do the trick. Doing the same with the colour scheme of your flooring will have the same cosying effect. If you’re the type of person who enjoys strong, exciting colours you can coordinate those colours into the décor, maybe in the hand towels or shower curtain. If your bathroom has a window or two, allow as much natural light in as you can possibly can. This doesn’t mean you can’t have curtains, just be mindful of the style and if it covers the window too much. Typically, bathroom windows are small and sometimes have frosted glass, so there is already minimal light going in there as it is. Knick-knacks on the window sill are always cute as décor in, but keep in mind how much light they may be preventing from entering the room. In most cases when decorating or furnishing a home, less is most definitely more. Don’t overcrowd your wall space with storage racks or hanging décor. Some is absolutely okay, but everything in moderation is the way to go. This includes your counter space. Having too much going on can give your bathroom a cluttered, claustrophobic feel. Depending on the size and layout of your bathroom, using a dainty pedestal sink rather than a large vanity can be a real space saver/creator. You may even consider using a small, wall-mounted sink to create a more open feel to your bathroom. This may have you wondering where you could store the items that you normally would put under your vanity style sink. You could transfer all of those items to a nearby linen closet, or potentially work a small shelf into the design of your bathroom to store extra items. Big bathrooms are far more versatile when it comes to decorating, but even the biggest bathroom space can be made to feel cramped and cluttered if organized or decorated improperly. Small bathrooms don’t have to feel small either. You can create a comfortable, aesthetically pleasing bathroom while still showing off your own taste in colour and décor. You can always use another bathroom in your home and if you have no other space where you can fit one, the best way to include an additional bathroom is to convert your loft. You can read more about bathrooms here. 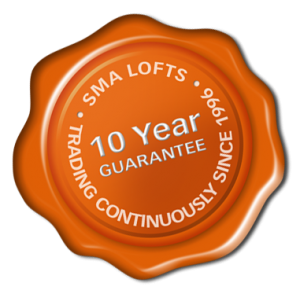 Give us a call on 020 8537 0361 to book a FREE consultation with one of our experts. We can help you plan, design and build the extra room that will enhance your house and your lifestyle. We will guide you through the whole process from initial conceptual drawings to the completed build.